GVS Application Firmware modifies in order to remain compatibles with 3rd party editing software in file base workflow, today GVS produces the highest quality turnkey/workflow systems for the video and audio market place. Our more popular solutions include GVSAN, Tracker DDM, RE:View Manager, Broadcast Automation. Film Proxy Generator (FPG) Ability to provide user in field ability to record real-time 2K, 4:4:4, 4:2:2 DVCProHD uncompressed direct recording of digital content with multiple proxies file format generation, with simple software control module user are able to select any number of low resolution proxies files with the same file name so it provides a easy of editing of daily as well as ability to preview and change format on the file, so content can be provided to remote location extremely fast and secure. The Workflow Tools Accelerate (WTA) Workflow tools accelerate your workflow by allowing your team automatedgeneration and placement of Lo-Res (FPO) or Proxie video images for layout and Web ready images for instant Web posting. The original version of these images is retained on the server and is located and placed automatically when the final documents are printed or output to film or Nomadic drive. Documents stored on the server can also be instantly converted to PDF or video file can be saved in number diffrent Quick Time refrince files with change of reslution for local or remote viewing and playback, soft proofing, annotating, and/or web posting for enhanced project collaboration. The Nomadic Shuttle Systems (NSS) With Hot/Swap removable drives, were originally engineered to allow graphics professionals the ability to move large files from one workstation to another, without incurring network bottlenecks. Although network technologies have improved (bandwidth) - greatly reducing the need for removable drives as a method of data transfer - they are still widely used, with GVS customer formatting software it allow's you to move your data from multiple different platform, OS X to Windows and other popper operating system. GVS Storage Sub Systems (SSS) Accelerate your disk intensive applications with the SSS. This blazingly fast Mac based hardware and software product will turn your GVS9000 workstation into a graphics monster. Video, audio, animation, graphics and other application will execute faster than you ever thought possible. 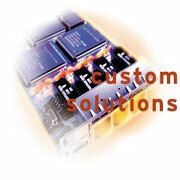 SSS is ONLY available with the GVS9000 1U, 2U, 4U PowerMAC G4/G5 product line. 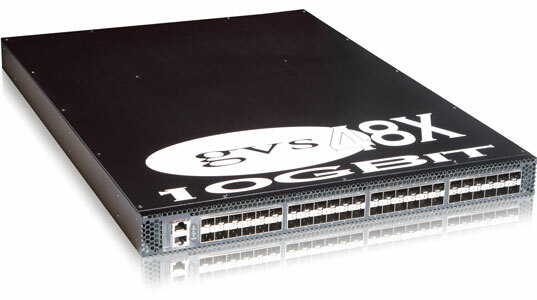 Although the GVS9000 SSS will not be sold separately, current owners of the GVS9000 workstation can request an upgrad.